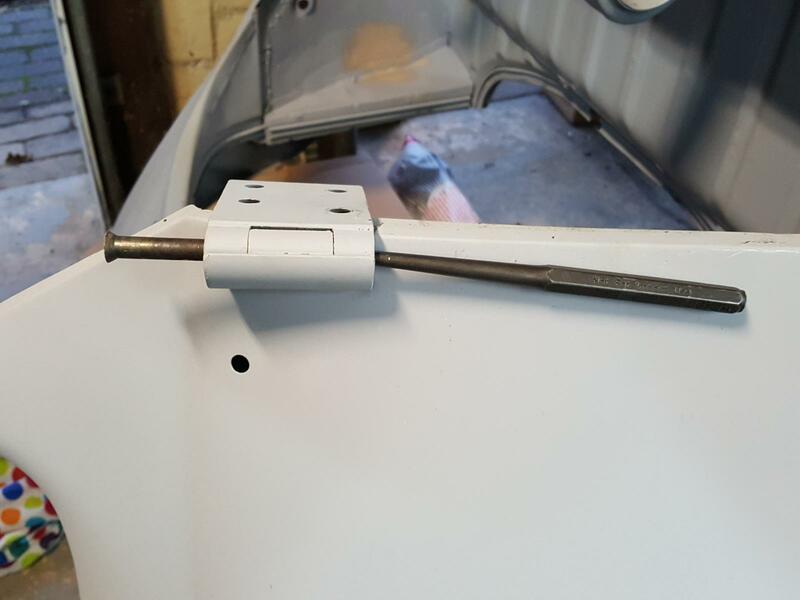 TheSamba.com :: Beetle - 1958-1967 - View topic - Can You Identify This Weird Door Hinge Pin? Can You Identify This Weird Door Hinge Pin? Posted: Fri May 11, 2018 7:34 pm Post subject: Can You Identify This Weird Door Hinge Pin? I have a D/S Door from a ‘67 donor vehicle that I’d like to swap onto my ‘67. 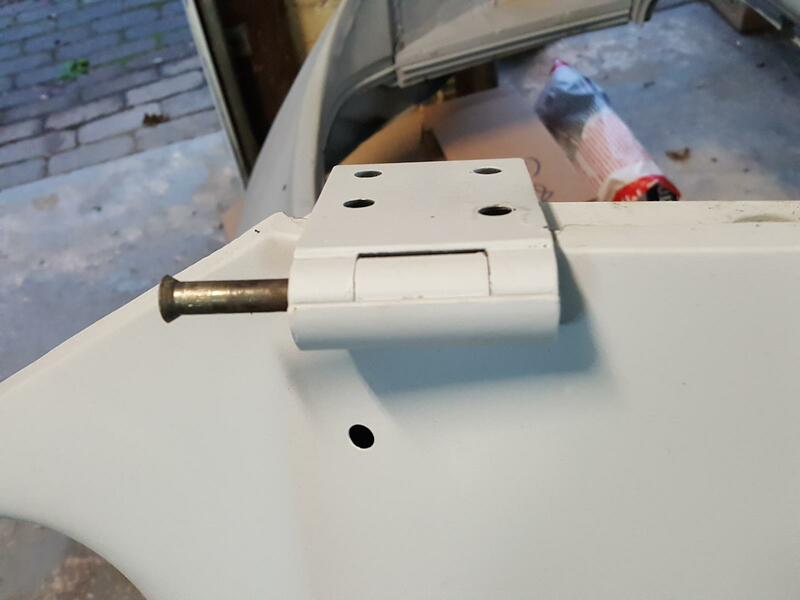 On my car, all of the hinges appear to be normal - there’s a pin that goes through the top and out the bottom (with the exception of the D/S top Hinge which is threaded to accommodate the mirror). On the donor door, the top Hinge appears to be normal (with the threading for the mirror). However, the bottom hinge looks like it’s welded on. 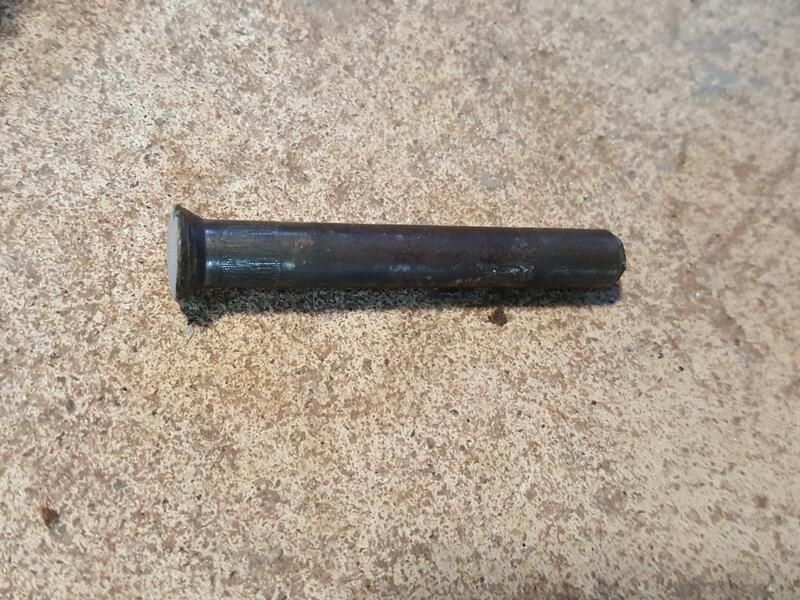 I can’t tell for certain and I thought it’d be wise to enlist the Sambaverse’s expertise to see if you can identify what this Hinge Pin is - is it indeed a welded pin or is it an aftermarket hinge pin? If it’s welded, then am I SOL in getting if out/off? The bottom of the lower hinge appears to be normal - it’s the top of the lower hinge that’s strange. 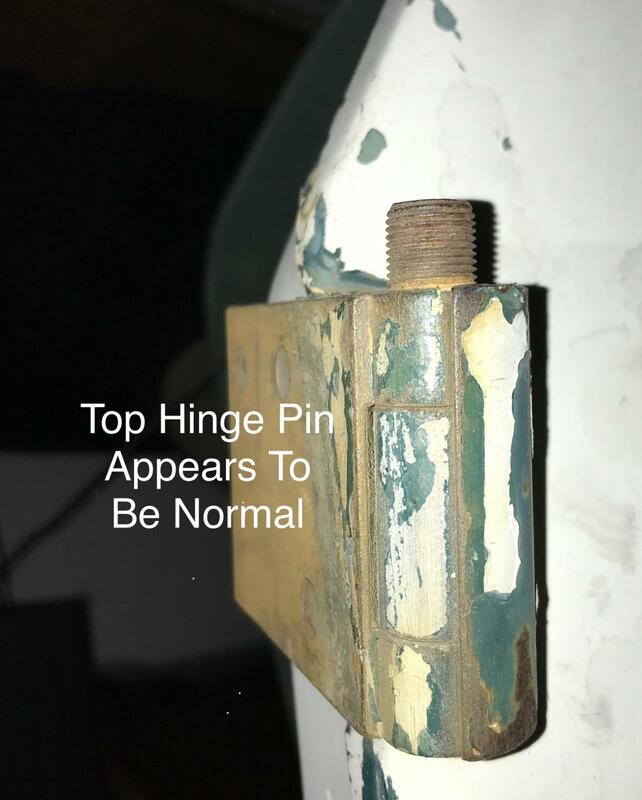 Posted: Fri May 11, 2018 7:54 pm Post subject: Re: Can You Identify This Weird Door Hinge Pin? 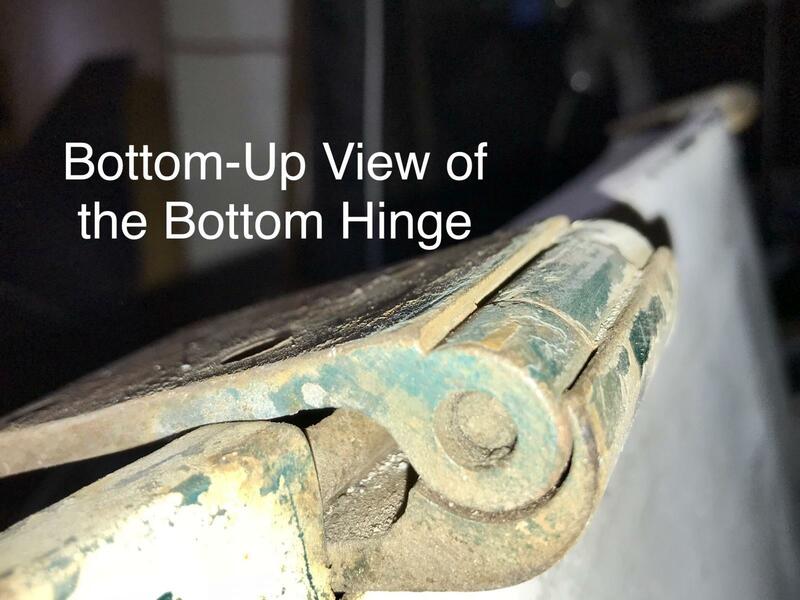 The top of the bottom hinge pin looks a lot like the 68+ Bugs I've seen that have a plastic plug covering the hinge pin. The plug is removed for periodic oiling then pushed back in place. 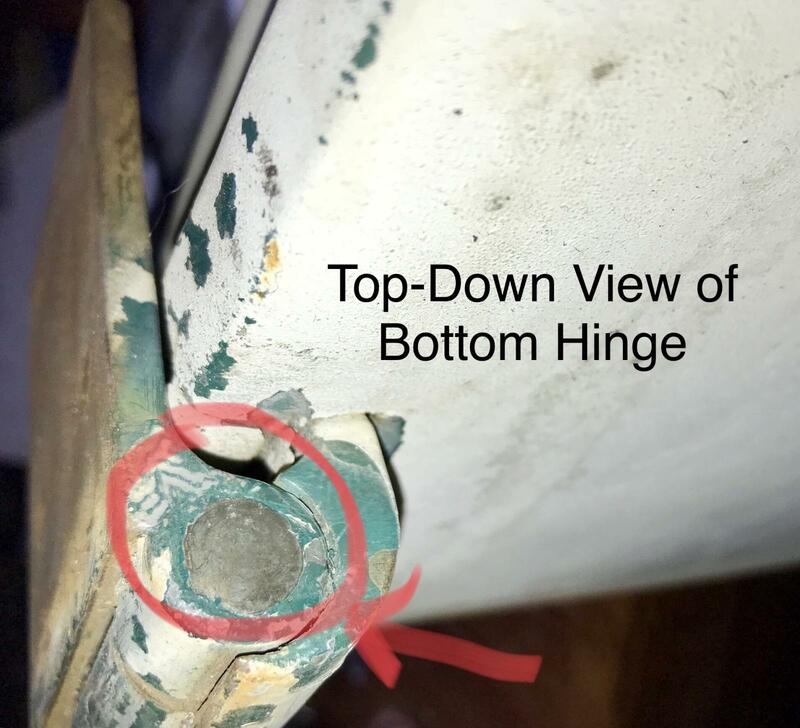 Posted: Fri May 11, 2018 8:07 pm Post subject: Re: Can You Identify This Weird Door Hinge Pin? Excellent observation - but it is definitely metal - I’ve just confirmed by scratching it with a pick. Posted: Fri May 11, 2018 8:16 pm Post subject: Re: Can You Identify This Weird Door Hinge Pin? Posted: Sun May 13, 2018 5:51 pm Post subject: Re: Can You Identify This Weird Door Hinge Pin? 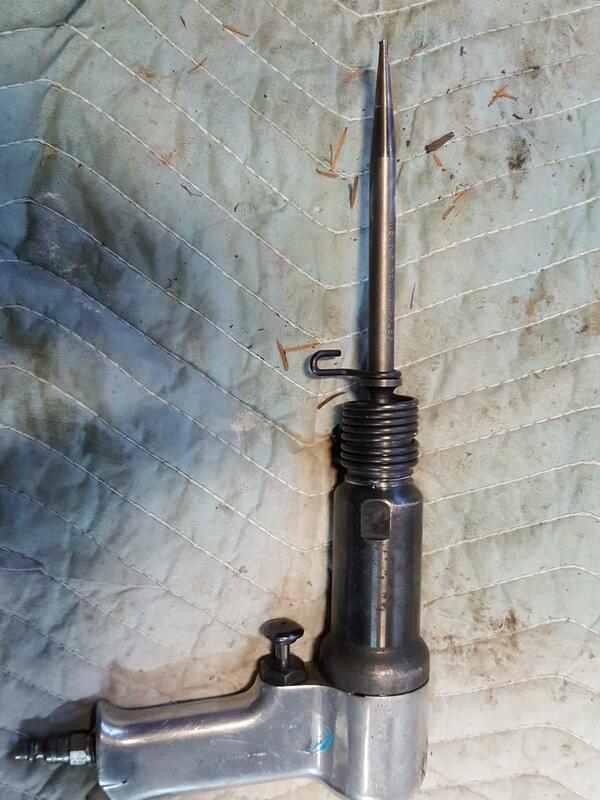 I think it’s just a stock pin, here’s one from my 62. 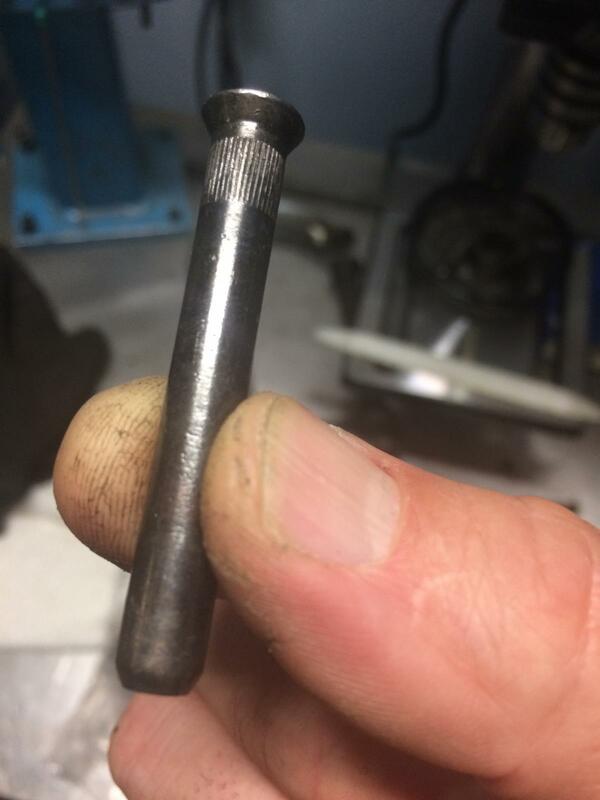 Posted: Sun May 13, 2018 6:05 pm Post subject: Re: Can You Identify This Weird Door Hinge Pin? Posted: Mon May 14, 2018 11:22 am Post subject: Re: Can You Identify This Weird Door Hinge Pin? The pin in question is the stock early version, same as 58 to mid-67. Once installed and painted over this is how they appear. With the door open, you should see a cut-out in the lower finger to apply oil to. Mid 67-up they went to new hinge style the pin having a recessed head with a clear plastic cap. There is no cut-out for oiling, with these you take the cap out for the drop of oil. Posted: Wed May 16, 2018 3:12 am Post subject: Re: Can You Identify This Weird Door Hinge Pin? Posted: Wed May 16, 2018 5:45 pm Post subject: Re: Can You Identify This Weird Door Hinge Pin? Just use one of these, the tool comes in a 3 pack at HF. Took a minute to get out.